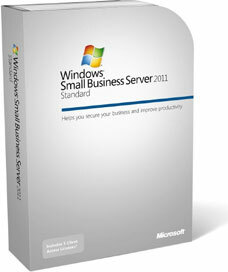 Designed and priced for small businesses, Windows SBS is an affordable server solution to help your business run more efficiently. Of the many services Micro Help can offer you, Small Business Server is probably the most overlooked and underestimated. Remote access to your office desktop (including email, files, software and more!). Shared equipment and resources to maximise usefulness of your office tools. A fully scalable computer network, making it easier to add new users, servers and applications. An easily controlled I.T. environment with server based antivirus and antispam. Daily or weekly alerts to keep you up-to-date with the condition of your systems. A single admin console, giving you quick and easy control of common I.T. tasks. Use your smartphone, tablet, or other portable device to access your contacts, emails, appointments and files whilst on the go.